If your first reaction to “intermittent fasting with type 1 diabetes” is…”Oh my gosh, my blood sugar would be so low! I could never do that!” …then definitely keep reading. What’s the point of intermittent fasting? But won’t I be hungry? But isn’t eating breakfast really important? Exercising in the Morning When Fasting...Is Actually Easier! There are 3 general reasons a person might want to pursue intermittent fasting. Weight-loss: This is the most obvious and most common reason to give it a try. Simplicity: Reducing the number of hours each day that you have to think about food, track food, make decisions around food, and cook food can be really freeing! Instead of frantically and unexpectedly skipping meals because of a hectic schedule, intermittent fasting allows you to properly and methodically skip eating during parts of the time. Energy: Once you get going, and you’re no longer freaking out about, “How hungry will I feel!? !”…this approach to eating can actually give you quite a boost of energy because your body will be burning fat for fuel instead of relying on sugar from your blood. Body fat is an endless source of energy. Basal testing literally consists of purposefully skipping a meal (or two) in order to see if your insulin keeps your blood sugar steady, or if your blood sugar significantly rises or falls out of your personal goal range. If it rises, you’re not getting enough background/basal insulin. If it falls, then you’re clearly getting too much. When you wake up with an in-range blood sugar (ideally between 70 to 130 mg/dL as a person with type 1 diabetes…the 130 mg/dL being on the higher end but offering some room for imperfection in a complex disease) and you don’t eat breakfast, which means you don’t take a bolus of insulin, your body will continue to burn fat for fuel because you have yet to introduce actual fuel. You have yet to turn on that switch telling your body to rely on glucose for fuel instead of fat. There are a lot of different ways you can approach fasting, and after doing this for several years on and off, I’ve found I can flexibly create my own approach that feels most natural to me. 16-hour fast: You eat dinner on Thursday (for example), and then you don’t eat again until 1 or 2 p.m. the next day. It’s important to note that you should still eat a normal day’s worth of calories during that 8-hour eating window. If you’re trying to lose weight, that amount of calories might only be 1200 to 1600, but you still need to get your calories while following a fasting program. Periodic fast: You suddenly decide to go 24 hours without eating, unrelated to your fasting or eating schedule throughout the rest of week. I like using it when I know I’m going to be eating a really heavy meal (Thanksgiving, holidays, pizza or Chinese food, etc.). I’ve also used this when I know I’m going to be sitting in a car for a long time on a road-trip, or if I know I’m going to be somewhere new with my kids and I really don’t want to risk any low or high blood sugars – I just want to remove diabetes from the equation altogether so I’ll fast as long as I can that day. If you search the web on intermittent fasting, you’ll find there are people who emphasize that fasting for weight-loss needs to coincide with very clean-eating and attention to nutrition, while you’ll find others who say they fast all day and then eat pizza every night. If you’re trying to lose weight, you’ll really want to lean towards the clean-eating and attention to nutrition (with treat-days planned of course, for long-term success and adherence), but if you’re trying to maintain your weight, I think intermittent fasting offers a lot of wiggle-room for less healthy eating. During the holidays, for example, I let my eating choices slide quite a bit compared to my normal routine, but I was still following a 16-hour or 24-hour fasting schedule most days of the week, so I didn’t actually gain weight beyond a little carb-laden bloating and water retention. Guess what, it’s okay to be a little hungry. After you stop freaking out about your belly not feeling full 24/7, and push through it around 10 a.m., you might actually notice that you feel a little bit awesome. A little more clear-headed, a little more focused, even a little more energy. Drink some water – it’s good for you anyway – and embrace that feeling of your body just being empty. Yes, there are many ways to lose weight by eating every 3 to 4 hours, but that’s not the only way to eat, and it’s not the only way to lose weight. Are you someone who is always thinking about their next meal? Always snacking? But if you’re an athlete or intense exerciser...you might simply find that you really need that morning fuel because of your athletic pursuits! That’s okay! That just means intermittent fasting isn’t for you. Eating breakfast can absolutely be a crucial part of weight-loss and maintaining a healthy metabolism, but it’s not the only way, and more recent research has really diminished how important breakfast really is. “There haven’t been any conclusive studies that found eating breakfast to have a positive effect on weight loss or weight maintenance,” explains sports nutritionist and registered dietician, Leslie Bonci, as reported in Popular Science. Also, the idea that skipping breakfast causes weight gain is over-simplified and very false. It’s not the act of skipping breakfast that can cause weight gain, but that in those studies it’s observed that a large majority of those who skip breakfast also lack other healthy habits overall. “It could be that eating breakfast is simply a marker of a healthy lifestyle and, in itself, doesn’t protect against obesity,” explains Science Alert. As a person with type 1 diabetes, you might even notice that you feel…a little free, because you aren’t worrying about whether you’re going to be high or low after your breakfast. The awesome part of this for people with type 1 diabetes is this: your blood sugar is steady, steady, steady all morning long until you end your fast by eating at 11 a.m. or 2 p.m. or dinnertime…depending on which fasting schedule you follow. I’ve also found that if I do a 24-hour fast before a carb-heavy meal like pizza, I’ve found that fasting actually cuts down significantly on the insulin I need for that meal. If you stick to your fasting program consistently, you’ll find you lose weight and you gain insulin sensitivity, which means: you’ll need to decrease your background/basal insulin rates! This is a good thing! This is part of weight-loss with diabetes, but if you aren’t expecting it, you’ll be annoyed and frustrated with the low blood sugars. If you wake up a little high, sure, you can take a reduced correction dose (read ‘Think Like a Pancreas’ if you don’t know your own correction dose), and carry on with the fast, but introducing that bolus of insulin could be enough to switch on your body’s need to burn glucose for fuel. (For legitimate “dawn phenomenon” high blood sugars, you may simply need a bolus correction of insulin every morning that really is part of your “basal” insulin but is applied via pump or injection as a bolus. If this prevents morning fasting highs, it’s part of your fasting regimen!) *Read more about managing “dawn phenomenon” here. If you don’t take that correction dose of insulin, then you’re just spending the next several hours with a high blood sugar…which is counterproductive if our overall goal is health…right? So definitely take the insulin you need in order to be at healthy blood sugar levels–that’s your first priority. If you wake up low, then you obviously have to eat and fasting is no longer going to work. You’d be better off eating a healthy breakfast, fueling your metabolism since it’s already burning glucose for fuel, and trying again tomorrow. If you routinely wake up with blood sugars that are too high or too low, you need to go back and do some basal testing or test your insulin-to-carbohydrate ratios that you’re using for the food you eat before bed. Or this sneaky blood sugar problem: You need to stop binge-eating late at night. If you’re currently up at midnight eating yourself out of house and home, focus on this first before pursuing intermittent fasting. People often blame high blood sugars in the morning on “the dawn phenomenon” when it’s actually the result of late-night binge-eating. It’s not a magic trick. It’s not a fad. It’s just basic science of how the body responds in a fasted environment. Exercising in the Morning When Fasting…Is Actually Easier! When you’re fasting during your exercise, your blood sugar isn’t going to burn up and drop–this is a good thing! Exercising while fasting (which means you did not just take a bolus of insulin for food or a high blood sugar) is easier because your body will burn body fat for fuel instead of glucose. I didn’t believe it either when I first learned this from the bodybuilders at my gym many years ago, but it works. You will find that with weight-lifting or other anaerobic workouts, your blood sugar will possibly rise during a fasted workout, which means you might actually need a bolus of insulin for that type of workout. This will not take away from your fasted efforts, it simply helps use the glucose that’s being generated from the glycogen in your muscles being broken down due to your anaerobic workout! I LOVE fasted cardio! In fact, I make sure that all of my exercise sessions happen either fasted in the morning or fasted in the evening (by not eating anything after 1 p.m. and then getting on the treadmill around 7 pm. This ensures that all bolused rapid-acting insulin is well out of my system. It works. When I used to lift weights, I did find that I needed 1 unit of insulin in the morning if I was doing a fasted weightlifting workout. Is intermittent fasting safe for people with type 1 diabetes? Absolutely! But you need to make sure your insulin doses and medications are properly tuned. For type 2s taking diabetes medications that intentionally lower blood sugar, you’ll likely want to talk to your doctor about taking that dose with your first meal versus “in the morning” if you intend to fast in the morning. For type 1s, as discussed extensively above, your insulin doses should be finely tuned (even if you don’t ever plan to fast) so that you can miss meals and your blood sugar is generally steady and in a healthy range. Adjusting your insulin doses to meet this standard is called “basal testing.” If you’ve never done any basal testing to assess the accuracy of your personal insulin doses, definitely do that first. And do it even if you don’t ever intend to fast. It’s essential to diabetes management. Again, as explained earlier, during your first week of fasting, check your blood sugar often during your fasting window to see how your body responds. And if you stick with it long-term, you’ll find you definitely will need to reduce your basal rates (even within a week or two) because intermittent fasting has an awesome benefit of…increasing your sensitivity to insulin! During the time-frame that you’re not eating calories, you shouldn’t be drinking any calories either. Black coffee or tea or water or seltzer (or diet soda, if you must) are all safe to drink. In general, I don’t encourage the consumption of drinks loaded with fake sweeteners. Drinks like Vitamin Water, even the sugar-free version, still contains calories. Read your labels carefully, and if all else fails, ditch the “diet” products for some all natural, chemical-free plain water! Do you need to do intermittent fasting if you already follow a ketogenic diet? You’re obviously going to be burning more fat than the rest of us after eating a ketogenic breakfast, but even some of that breakfast will be converted to glucose and require a bit of insulin to digest, so intermittent fasting still applies to keto-folks, too. Adding fasting to an already disciplined ketogenic diet will definitely help your weight-loss progress. Just beware, however, that if you don’t already understand how to eat enough on a ketogenic diet, adding fasting to the mix can be a recipe for a binge. I highly recommend studying and practicing ketogenic eating for a few months before adding fasting to it. It’s very common for new low-carb eaters to eat too little because they are still afraid of eating too much fat. And fat, as you’ve probably heard, is a pretty crucial part of a successful ketogenic diet! I can wake up in the morning, drink a cup of black coffee and guzzle some regular ol’ water, then pack our bags and head out the door to the playground or playgroup or the library. I can chase my kids around all morning long and I don’t have to worry about my blood sugar. If I woke up at 90 mg/dL, I know my blood sugar is still in that zone. I didn’t have to spend any time making my own breakfast. Or trying to find the time to make my own breakfast. I don’t have to worry about getting real, healthy food into my own belly until we come home from our morning activity, and I get the kids lunch and get everybody settled. By 1 or 2 p.m., I’m not starving, I actually feel pretty energized after that morning fast. And making myself a healthy meal feels very doable because the busiest part of the day is behind us. If all of the above sounds appealing to you, give it a try! Do you currently have a healthy relationship with food? If not, I would address that first. Fasting is not ideal for the yo-yo dieter or someone trying to recover from an eating disorder. 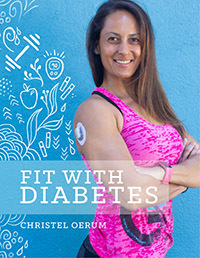 Visit We Are Diabetes or check out my book on Emotional Eating with Diabetes or Diabetes Burnout to get started. Take good notes! The first week you try fasting, write down the insulin you took before bed, what your blood sugar was in the a.m., etc., so you can pinpoint any diabetes-related variables that are causing lows or highs in your blood sugar during the fasting period. For example: if you’re still up at midnight eating chips and ice cream, you can absolutely bet that will raise your blood sugar during the hours of 6 a.m. to 12 p.m. when you’re fasting. Some people blame dawn phenomenon for what is actually late-night binge-eating. During the first few fasts, check your blood sugar often. Even though fasting itself shouldn’t cause low blood sugars, your insulin doses simply might not be accurate! And nothing will reveal that sooner than fasting. Check your blood sugar often and take good notes. Learning how to study and adjust your insulin doses is a crucial part, I believe, of long-term success in life with type 1 diabetes. It doesn’t have to be 100% to benefit you: If I wake up and feel really hungry and genuinely feel an intense need to eat, then I listen to my body, and I eat breakfast. If I want to go out to breakfast (once in a blue moon) with my family, then I eat breakfast. It’s not a big deal! Make it work for you. Follow the program as much as you can, and don’t freak out when life gets in the way. You may find it useful for a few months, then back to a normal schedule. I’ve found that intermittent fasting has been really wonderful for me for several months at a time. And then I take a break from it for a couple of months, and then I naturally feel ready to follow that schedule again. Listen to your body and find what works for you. Be patient. If you fail a day of fasting because you gave in and ate one of those goddamned office muffins, relax. I’m a big believer that creating your own life around nutrition is a very long work in progress. Be constantly open to evolving, learning, trying new things, and never never never shaming yourself for being imperfect. It’s one big science project. Enjoy the project, stop punishing yourself, and learn to love the food you eat. Food can be fun, even when you’re trying to lose weight! 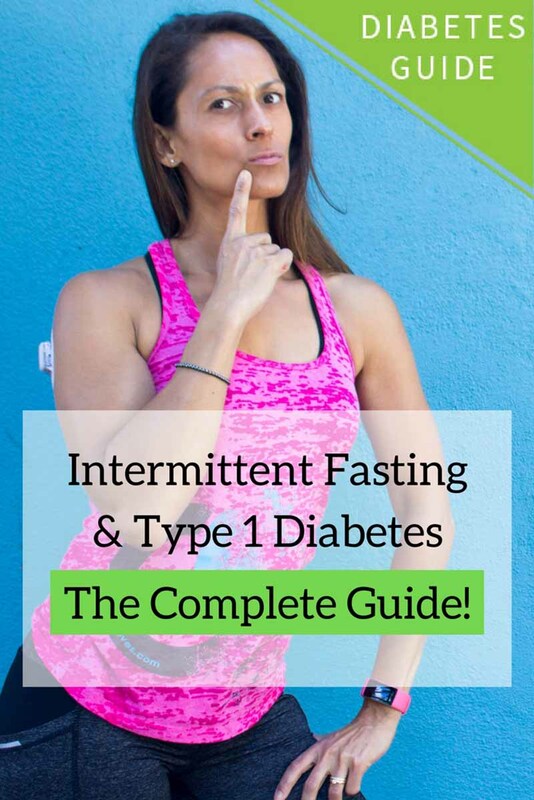 If you liked this guide to intermittent fasting with type 1 diabetes, please sign up for our newsletter (and get a sign-up bonus) in the form below. We send out a weekly newsletter with the latest posts and recipes from Diabetes Strong. If you’re running low during a fast, then you’re likely getting too much background (basal) insulin via pump or your long-acting insulin dose. Our background insulin needs change throughout our life, so it sounds like yours might need a slight reduction. Even a 1-unit reduction can make all the difference. Definitely talk to your healthcare team if you need help thinking through this dosing adjustment! The opposite goes for your evening meal/workout. Are you pre-bolusing your insulin dose? If you’re eating and taking your insulin at the same time, you can expect that your blood sugar will rise and then eventually come down as the insulin starts to do its job. Pre-bolusing means taking your insulin 10 to 15 minutes before eating to reduce that post-meal spike. I highly recommend reading Think Like a Pancreas to learn more about this! Let me know how it goes! And as always, I’m not your doctor…so talk to your healthcare team about making adjustments! Thanks for all this info! I am very intrigued by IF and want to give it a try. My question involves shift work. I work nights (6p-6a) 3 days a weeks, but keep regular hours on my days off (up by 8a, bed by 10-11p). Would IF still be effective if the time of my window changed? I was thinking of having my window be 12-8p on days off, 4p-12a on work days. Or should I just try to keep it the same for work and non-work days? I use an insulin pump that has automatic adjusting basal rates (I also wear a glucose sensor), which is super helpful with flipping back and forth. 1. YES, you should and can absolutely adjust your fasting schedule based on the real life details of your unique job schedule. 2. You also don’t need to fast every single day. You could fast on certain days and not on others. For instance, people with small kids might not fast on days where they have their kids with them the whole day because patience runs extra thin when you haven’t eaten! Adjust as you see fit for you! I just have to say thank you for this article. It’s been very helpful. I have a question about fast timing. I am on multiple daily injections. In the evening, I will stop eating at 6:00pm, however I’ll notice around 8- 9:00pm I’ll need a second bolus to correct my BG from going up. After this bolus, I head to the perfect range and stay there till I break my fast the next day – 16 hours from when I started eating. Should my fast technically not start until that second bolus? My goals in using this tool are to be able to workout in the morning without going low (which is working! ), loosing about 8lbs, and to not worry about anything BG related for a period of time. I am also a busy mom of two kids, and could completely relate to your story! It’s been amazing not having to think about about my BG when I’m running around with my kiddos. Don’t worry about that 2-hour window. You’re simply doing what a non-diabetic’s body would do. Like a non-diabetic, count your fasting based on the last time you ate. All those extra injections we have to take are just meeting our insulin needs that a non-diabetic’s body is doing on its own! How long have you been on Toujeo? Personally, Toujeo was a nightmare for me and for many others after the first month or two. My blood sugars were all over the place. If you’re taking 40 units of fast-acting just to keep your BG down in the AM, then your background insulin is either in desperate need of a tune-up OR it’s simply not doing its job. I’m not your doctor…but if I were you, I’d see how things go on Lantus or Tresiba. Toujeo is really iffy for man. Regarding overall weight-loss, etc. — is there space within your overall nutrition choices/intake that could use a tune-up? 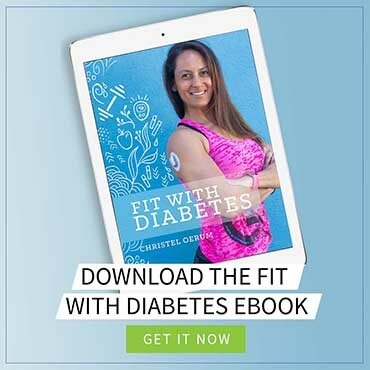 If you’ve never worked with a professional (Christel at DiabetesStrong or Daniele at DiabetesDominator) to truly learn about nutrition for weight-loss goals, it’s worth every cent. I learned from coaches 13 years ago! It’s worth it. Holler back with further questions! Hello. What an interesting article. I’m looking into intermittent fasting as I am looking to lose some weight. I have a few questions if you don’t mind…. I suffer from the common issue of dawn phenomenon so every morning I need about 2 units of fiasp fast acting insulin to meet the rise in glucose. Also I am a very active person and go to the gym 6 days a week. The issue I have is my excersises are quite intense and often include HIIT or weight training. Both of which cause a rise in my blood sugars so I need to take small correction doses before my workouts. Anyway my question is will these minimal correction units be enough to take my body out of fat burning mode even though I wont be consuming any calories? Alys! I actually have the exact same two BG issues that I take boluses for as well. (Although, when I was on Tresiba, I didn’t need a morning bolus, but on Lantus, I do.) Anyways, don’t worry about. These are still part of your essential background insulin needs. You may find though that you need LESS of a bolus for your dawn phenomenon if you’re exercising (cardio) without eating. So I’d start with a 1/2 dose the first time you try it. I definitely recommend reading some of the other comments/answers on here, too, because many others are in the same boat! Keep doing what you know keeps your blood sugar in your goal range and put Intermittent Fasting on top of that. I would like to start by thanking you for all this knowledge you are sharing with us!!! It’s really hard finding information about fasting and Type 1 diabetes, it’s very frustrating. I wanted to consult something with you and would love your insight about it. My husband and I started intermittent fasting a couple of days ago. 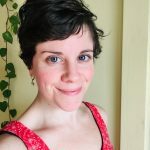 I feel awesome, but my husband (type 1 diabetic) has been having a high blood sugar after eating the first meal (around 250) even though his blood sugar during the day has been good (between 90-115) do you know what can be causing this? We tend to eat a big healthy dinner and a couple of snacks. Thank you again! God bless! Fortunately this sounds like a simple issue: he just needs more insulin with his meal. If his blood sugars are steady during the fast, his background insulin doses are great. But his post meal dose is clearly not covering his needs. Fasting might be causing him to need a little more than usual with his first meal — doesn’t really matter, either way it’s clear he just needs to increase his insulin-to-carb ratio or add the number of units he’s taking to correct that high BG to his initial meal dose! Let me know how it goes! Even non-diabetics always have insulin present in their bloodstream — that’s what keeps them alive! Every mammal needs insulin present. What throws your body into burning glucose for fuel rather than body fat is when you eat breakfast and your pancreas (or your pump/pen) delivers a large bolus of insulin. I can tell you personally that intermittent fasting works very well in type 1! It helped me lose postpartum belly fat. And it always just minimizes the amount of time we have to think about food! Now that I’m back on Lantus as my background insulin, I do find I have to take a small bolus of insulin in the morning if I’m going to fast, otherwise, my blood sugar will rise from the liver dumping glycogen. No big deal. I still continue my fast and reap the benefits! The benefits of fasting also give your digestive tract a break — which has shown in many studies to improve several aspects of health and even lengthen your life! Read through some of the other comments and questions below, too. We discuss this same topic in different ways! I´ve tried a basal rate test combined with a 24h fast, which worked very well with 23 units of Lantus, but there was a short hypo in the morning, followed by a very small Dawn Phenomenon, normal blood sugar the whole day and finaly a hypo after 22 hours. Yup! I have to take a 1-unit Bolus in the morning too when I’m on Lantus and fasting. You’re still just covering glucose from your liver, not food you’re eating, which means it’s your background insulin needs. Our first priority is healthy BGs, and taking adequate insulin. Don’t worry about the tinier details we can’t control. Sounds like you’re a fasting pro! I take lantus in the morning and night. Should I still take my morning dose at the usual time or wait until I break my fast? My hubby is really into Int. Fasting and I have been trying to find a way to do it. Being a type 1 diabetic for 38 years on pump, we could not make sense of it. I’m definitely going to show him this and try it!! I found your comments to be exceedingly helpful to me as I am a type 1 diabetic on an insulin pump and want badly to start fasting correctly. Everything you posted makes so much since to me and you answered several of my questions and concerns about fasting. Do you have any books about fasting with Type 1 diabetes that you could suggest for a 68 year old woman (me)? Hi Judy! As far as I know, this article is the most in-depth published writing on fasting with type 1 diabetes. However, I wouldn’t be surprised if Sheri Colberg’s upcoming new version of her old book includes some text on fasting. I wrote this article because there isn’t anything else out there that offers in-depth guidance on the subject of fasting! If you find something, please let us know! Just wondering about ‘breaking the fast’. In one of your articles you said that taking a bolus in the morning to counteract a high morning sugar could actually break the fast, as it will stimulate the body to use glucose as energy again instead of fat. I am doing 16:8 but often have to do this, despite increasing my basal, which I don’t want to increase anymore as it causes low sugar in the afternoon if it’s too much. Does the fact that you have a sugar of say 9 mmol/l in the morning, with the background basal, mean that you cannot go into fasting mode to metabolise fat? This would make sense to me because there is excess blood sugar and basal insulin breaking it down, so why would you need to burn fat? As I understand it fat is only metabolised as a last resort once all excess glucose has been used? This would mean that bolus injections do the same, and prevent fat from being used as energy? 1. Our first responsibility as people with diabetes is to manage our blood sugars as safely and healthily as possible. Would we burn more fat if we ignored at 9mmol blood sugar and just kept fasting? Sure. But you’ll still benefit from your fast by taking a small correction dose, getting your blood sugar back to your goal range, and continuing your fast. 2. There are other benefits to fasting besides burning fat. It gives your digestion system a major break, and has shown in a lot of studies to actually lengthen our lives! There’s more — google for more and you’ll find it. BUT that being said, you can still burn fat while insulin is present, it’s just that when a large bolus of insulin is present, that fat-burning mode isn’t going to be primary anymore. For me, that’s about 1 unit of insulin — but I’m 5’2 and 120 lbs. If you’re a guy at 200 lbs and 5’11, 1 unit might not be as much relatively speaking in your body. 3. Personally, if I wake up with a 200 mg/dL, I would take a 1/4 unit (instead of 1 full unit) because I know I’m about to get a ton of exercise walking my dogs so I don’t need a full correction. Does any of this answer your question? The nutshell: we are people with diabetes BEFORE we are intermittent fasting fans. Healthy blood sugar levels come first, but just because you have to take a bolus of insulin to correct a high doesn’t mean your fast is completely ruined and pointless. You’re still not eating food and you’re still going to burn far more body fat than if you had eaten breakfast. I will continue to give a bolus if it is needed then, because as you say, it is only a small dose and I can then continue with my fast. I’ve been doing IF for 2 weeks only, but so far have gained 1kg in weight! Hopefully it will improve..
Im curious how you know that 1 unit of insulin if the amount to cause your energy mode to be glucose rather than fat – is this based on a formula, or is it just what feels right? Thanks again for your help, it’s nice to discuss these things.